Login or Sign in with way2tnpsc and get frequent update about jobs. 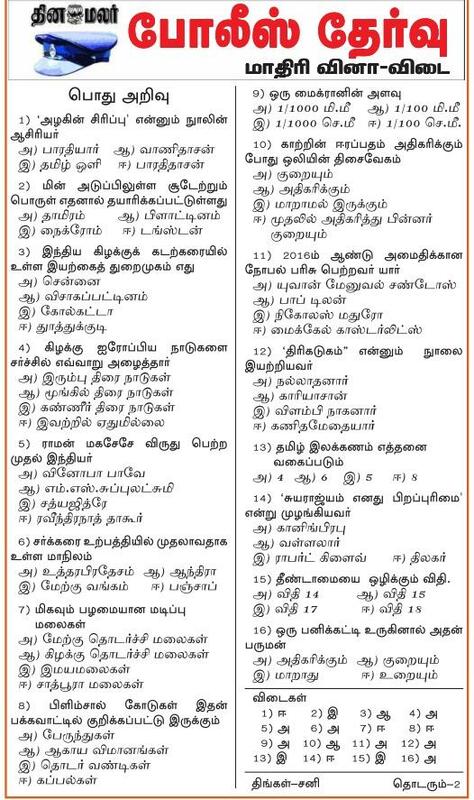 Dear Viewers, dinamalar TN Police (TNUSRB) Model Questions with answers is very very useful for competitive exams.We could see dinamalar TN Police (TNUSRB) Model Questions with answers covers major part in competitive exams., Here you can see the General knowledge and Static GK questions for various exams like TNPSC, TRB,SBI, RBI, UPSC, TNTET and all other state government exams. Here we display the list of topic and category and click on the topic to read it.